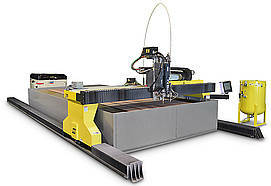 The HYDROCUT™ LX Waterjet Cutting System is a heavy-duty gantry cutting machine. Floor mounted crane rails and a rigid gantry are combined with digital AC drive amplifiers, brushless AC motors, and precision gearboxes. The result is a high performance multi-process capable machine. The HYDROCUT™ LX easily combines waterjet with other cutting and marking processes, such as plasma cutting, plasma marking, oxy-fuel cutting, ink-jet marking or drilling. Waterjet is an extremely precise cutting process, but it is also an expensive process to operate. Many fabricators require parts cut with high precision for only a small portion of the entire part, while most of the part could be cut with a more economical process. By combining plasma and waterjet processes on the same machine, you have the ability to dramatically reduce the overall cost to produce those parts. ESAB's VISION™ T5 fully automates all process control and setup, making operation easier and faster. Whether its waterjet, plasma, oxy-fuel, or marking, all parameters easily recalled from the on- board database simply by selecting material type, thickness, and process type. 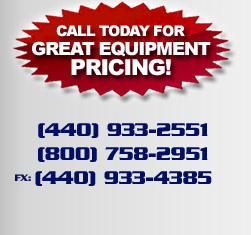 CLICK HERE to return to ESAB Products main page.